A new draft legislation that would regulate the cryptocurrency sector has been introduced in Israel last week and is already causing a stir. The legislation, which was supposed to be implemented this June 1st, has been revised by the local financial authorities and postponed for a future date. And in it, a special focus is being given on using cryptocurrencies to gamble in online casinos. The new draft legislation was released by the Money Laundering and Terror Financing Prohibition Authority over a week ago. The draft addresses cryptocurrency transactions in the country, or more precisely, what Israeli residents may or may not do with their cryptocurrency assets. Included in this new draft is a long list of cryptocurrency transactions which are to be monitored by the local authorities once the law is passed. The type of transactions that will be scrutinized will be any crypto transactions that may seem “unusual”, which the proposed legislation splits into 36 different types. Among these “unusual” transactions are cryptocurrency transfers over $1,400, which is a surprisingly low limit by any standard. Also included in this list are transfers of cryptocurrencies to “online gambling platforms and sites”. Per Israeli law, online gambling is strictly prohibited in the country. The local government has gone to great lengths to block access to a vast number of online casinos. However, some cryptocurrency casinos have still been able to bypass this blockade by allowing under-the-radar deposits and withdrawals via cryptocurrencies. But if the legislation is passed, any such transactions will likely catch the eye of local authorities. After the new draft law was revealed, it caused a public outcry since the local tech companies and crypto-enthusiasts were already hoping to get a new regulation by the start of this month. But with the regulation being postponed until October, the cryptocurrency sector has been hit hard as banks still use the lack of regulation as an excuse to avoid processing transactions and offering services to cryptocurrency-related businesses and regular users. 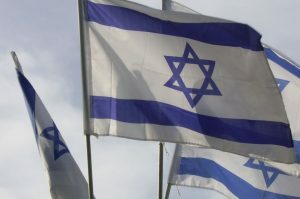 Even though online gambling is prohibited in the country, Israel has been a hotbed for online gambling companies. One of the biggest casino software brands, Playtech, was launched by the Israeli Teddy Sagi, who also brought one of the largest gambling operators Will Hill to the country. Currently Will Hill have a marketing office in Israel that counts 250 employees, according to local news portal Haaretz. The country is also home to other giants like 888 as well as a host of casino tech companies and big-profile casino affiliates which have opened up offices in Tel Aviv. However, most of these gambling companies don’t open up shops to support online casino platforms but rather choose to base their marketing operations in Israel. According a local source, around 70% of hires for the online gambling industry in Israel are engaged in marketing work. But despite so much gambling money flowing around and a large number of young people working for the industry, local residents are still very disapproving of gambling. Thus, any form of online gambling activity has remained banned in the country and there is no sign that the ban will be lifted any time soon.